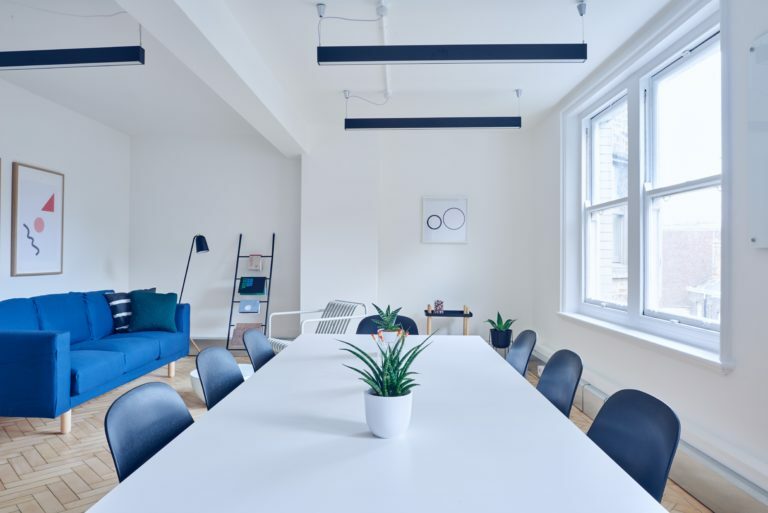 The best interior will make your work A LOT easier, because the color holds longer, applies more evenly, each coat is much thicker, and it cleans up easier. 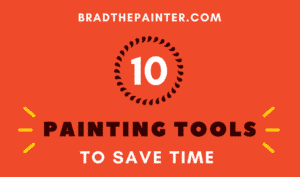 We will show you a secret painting tip to go very fast. Let's see first which paint is the best. Don't believe commercials. Buy quality paint like Regal Select Waterborne Interior Paint from Benjamin Moore (site) or Sherwin Williams products, they are the best paint brands. You can find the Regal Select online here. Those indoor paint actually cost less in the long run because they cover a bigger area. 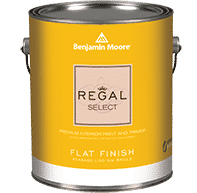 The indoor paint that I prefer is the Regal Select, I found it to be such a high-quality paint. 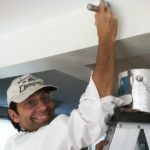 The second most important tip after choosing the best interior paint is to use a quality roller (see my top roller choice). If do not use a quality roller, it will shed lint onto your wall which will cause your wall to feel (and look) like sandpaper. No need for much brushing in an interior paint job. The corners, yes a little and of course around the light switches and wall outlets etc, but not the long sections where walls meet. See the video below where I demonstrate how to ROLL FIRST to almost eliminate the brushing in interior painting. It’s best to use a long nap roller cover: we like 3/4 inch (or more), in a wool/poly blend. That is 35 years of experience though: maybe go with the 1/2 inch if you are not sure. (We always use a Wooster roller: the poly gives longevity and the wool holds a lot of paint so you go farther on a single dip). The Wooster poly-wool blend is only 9 bucks or 30 for 6. This will last a homeowner a lifetime. Learn what we consider our best tools here. What Makes the Best Interior Paint? What makes some paints worth the money and others not? One word answer: Solids. If you want the best quality paint for your money, and if you are a cheapskate like me, lean towards MORE expensive, higher quality paints. It sounds illogical, but it’s not, Spock. Flat or Glossy? 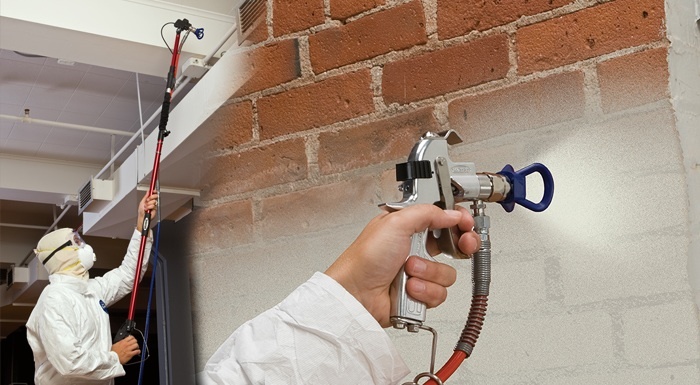 Whether you are putting semi-gloss paint on trim, or flat on ceilings or eggshell on walls (this is the usual M.O. ), you want the best paint for walls that will not lose it’s color over the years, will wash well, and that will apply evenly and fully. If you do not have high-quality paint, it won’t do any of this. Buy the best indoor paint and use quality tools. Here is my top recommendation for the best roller, roller-cover and brush (and I have written about how to easily clean brushes and the secret to cleaning rollers). What about one coat paint? We have to have our work look great, so we always go with 2 coats of paint (after primer, if a primer was needed). Why? Because each of the two coats can be spread thinner and so you can go quicker. You just make sure to hit all the surfaces: no skips and you’ll see how the 2nd coat covers like magic. With one coat paint, you must go slow and when you leave a wet area looking good, and come back to look, you will find skips that were not there before! Also, the one coat paint method may be slower: it depends on your colors and your tool/paint quality. Are Cheap Paints Toxic? Usually yes, more so than Benjamin Moore and Sherwin Williams. Be careful about zero-VOC paints even from these sellers: the tints added at the paint store may contain high levels of formaldehyde and other cancer-causing agents (so ask about tints). Safety warning: some people would reasonably think that exterior paint is better than the best indoor paint and use it inside: Big mistake. Quality interior paints do not have the toxins in exterior paints and believe me, you don’t want to be breathing that stuff as it cures for months, all day long. Tip: Good lighting will help you catch the ‘skips’ in the paint. LED’s go forever and we highly recommend those lights. The paint brands that I recommend have all those essentials points in their interior paint. 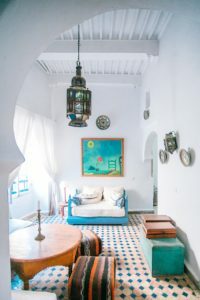 I’ve written elsewhere about primers, but here we will just focus on some simple logic and some chemistry for what makes an interior paint good. The bottom line is money. Can you say ‘ka-ching’? Let’s say you need a garden tool. Let’s say it’s a wheelbarrow. You can buy a plastic one made in China that is surprisingly inexpensive and will not take a beating (and will shatter in the winter cold) or you can buy a more expensive metal one built to last. How long do you expect the inexpensive one to last? How many ones do you have to buy to equal the life of your quality metal one? 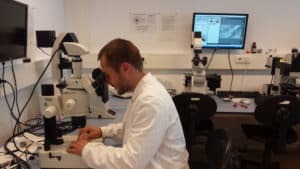 Of course, paint is different, but there are other factors: paint can be messy and low-quality paints do not have expensive binders and resins like the better paints. Have you ever tried to paint a ceiling with low-quality paint? Better keep your mouth shut! It did not cover the old paint? Go back, Jack, do it again. On the other hand, Benjamin Moore Ceiling Paint may cost $10 more per gallon, but it does not spit (if you are not rushing) and covers MUCH better. In fact, one coat after primer or older white paint is fine. You’ll only get this with the more expensive paints and you will be frustrated with the others. 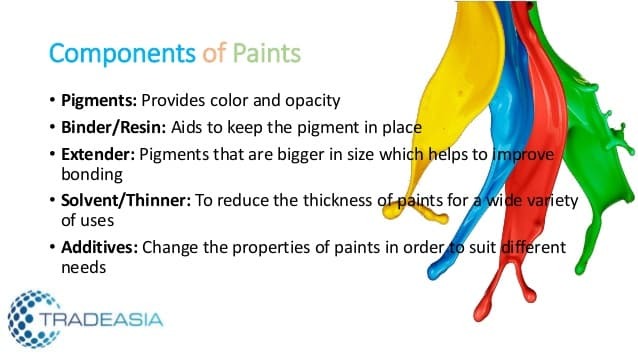 If you want to know more than you will ever need to know, try some articles about the chemistry of paint and here. But to keep this short, I will say that if you want to save money and not have headaches (and not have toxins in your lungs and house), buy high-quality paint from the best paint brands: Benjamin Moore or Sherwin Williams. They are the best paint brands. Those indoor paint actually cost less in the long run, and they are for sure the best interior paint you can find. Have you ever used Pratt & Lambert? If so, how do you think it compares against Sherwin Williams and Benjamin Moore? Hi. Yes, we’ve used it and as I recal it was a bit thinner than the standard Ben Moore or SW. I think if you get a good deal, go with it. Read on our site about VOCs and check the paint for this kind of toxin. Remember that tints can make ‘zero-VOC’ paint into a high VOC paint. Good luck!